Photograph: Jaclyn Rivas Al's Italian Beef on Taylor St. 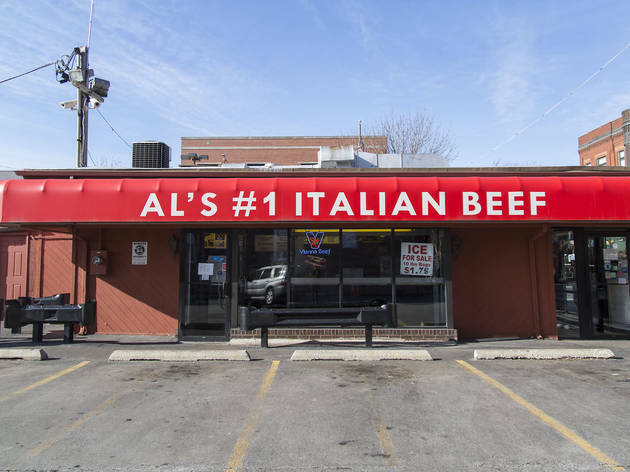 Though it was franchised at the turn of the millennium, this location of Al’s is the oldest (having opened in 1938) and the only direct descendant of the original (a wooden stand at Laflin and Harrison). These days, you’ll find Italian beefs all over town, but there’s something about eating one at this surviving piece of Little Italy. A six-inch bun piled with tender, thinly sliced beef is only better as a “combo” (topped with char-grilled sausage), “dipped” in beef jus and finished with hot giardiniera. Skin-on fries smothered with cheese are required eating for a meal lingering locals would be proud of. My order today was very disappointing. They change the taste and the size, calling the manager to ask why they made the change, he had not ideal. Food taste bad, french fries were burnt. The normal size was much smaller I would always have was half the size. Again, the manage had no ideal the food was so bad. Al's is a Chicago iconic joint. If you want to assume the eating position and bite into a large beef with fries, this is the place to do it. This is a cash only establishment. They have a very simplistic decoration with a few pictures on the wall and a small menu. They know what they are good at and they stick to it. If you are a vegetarian, stay far away from this place. For all you meat lovers, this juicy, spicy beef is a must try. Love Al's on Taylor! 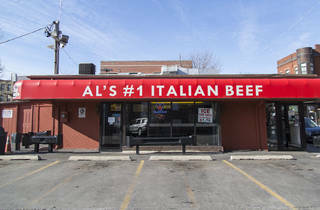 Best beef & sausage anywhere! Tasty hot peppers & french fries to die for! Staff is friendly, especially after we go there all the time they know our order! Love Anthony , too! 5 star!